We believe that every child should have the opportunity to experience yoga and all it's wonder! The spontaneity, creativity, adventure, fun & connection that it ignites brightens the lives of those it touches & everyone deserves that light. 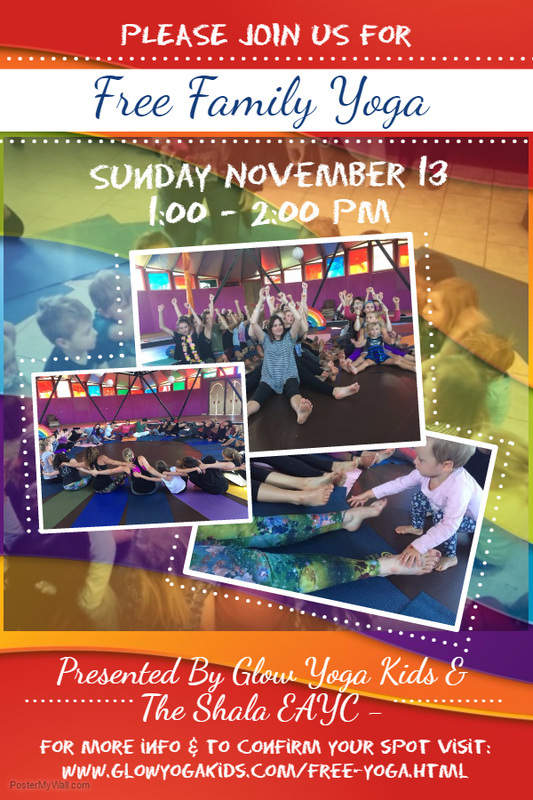 Glow Yoga Kids is delighted to be bringing FREE Rainbow style yoga to the children of Edmonton in partnership with some incredible organizations. Stay tuned on this page for updates on the fantastic free fun around town! Join us for Mommy Connection's Playtime @ West Edmonton Mall, featuring Kepler Academy! You'll find us on the main stage at the lower level by the entrance to the Bay from 10:50-11:20 with a super-fun Kids Yoga class for all ages. The event runs from 10-12 and will also include African Drumming from 10:10 - 10:40 and Jiu-Jistu for kids from 11:30-12:00. We hope to see you there! 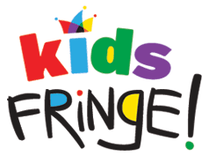 A free, fun and family friendly mini-fringe with super cool activities! Including yoga of course... We'll be hosting some yoga fun for your little ones ages 2-5 on August 17 from 1:00-2:00 PM & August 19 from 11:00 AM-12:00 PM and August 24 from 1:00 PM to 2:00 PM. Parent participation is highly encouraged! Keep checking back for updates on our FREE programming, because there will be more! OR, make it easy for yourself and join our mailing list, then we will keep you posted. Join us for a parent and tot yoga class at Crestwood Community league (14325 96 Ave), presented by Kepler Academy. Geared for children ages 0-5 & their parent or caregiver. We will sing, move, dance and play yoga together! Check out the FB event here. We have partnered with Birdie Break @ Fitfest, and will be offering a mixed ages class for your kiddos while you check out the festival! Classes run February 10 & 11 from 2:00-2:45 @ the Shaw Conference Center in the foyer. Many other great activities will be happening for them too! Free family yoga, on Family Day! What could be better? Join us at Fraser Community League (14720-21 Street) on Monday February 19 from 2:15-3:00. There are plenty of other great activities to partake in as well, the event runs from 1-4. More details here. For the third year in a row, you can find us offering free yoga for all ten days of the Taste of Edmonton festival! Bring your kiddos and join in on a fun filled 45 minute yoga adventure July 20-29 from 2-2:45. We'll be on the Taste 4 Kids stage, under the clock tower at Churchill Square. See you there! We've had such an overwhelming response in interest for this amazing free program - we have to close registration! We are full! If you are interested in hearing about future classes, please leave your information. Family yoga is AWESOME! The world we live in is SO busy, both parents and kids live super fast paced lives... family yoga provides a wonderful environment to spend healthy quality time with each other. No cell phone, no iPads, no TV or other responsibilities - just you and your family, playing together! This super-fun class will be filled with laughter, adventure, partner and group poses, breath work, relaxation, and plenty of love! All ages welcome. It's baaaaack! Free yoga for the entire 10 day festival! Accompany us for a fun filled 45 minute yoga adventure July 21-30 from 2-2:45. You'll find us in the far SE corner of Churchill Square. ​**Please note that the class on July 23rd will be from 1:00-1:45. For our first time, we will have the famous yoga obstacle course set up at the Edmonton Child Magazine's Picnic in the Park @ Kinsmen Park! Tons of fun free activities for kids, and some yummy food from the Italian Centre Shop on June 24 from 11-1. On November 1st we are joining forces with Mommy Connections and WEM to bring you a super-fun Playtime event for kids ages 2-5 and their caregivers. Join us at West Edmonton Mall on the Main Stage (outside of the Bay) for 2 sessions of our best kids yoga, 10:15-11:00 & 11:15-12:00! Come on over to Kingsway Mall for some free fun on January 27! What a great way to spend the morning... Stretch, breathe, play and relax before doing some shopping. Have your choice between 2 sessions; 9:00-9:45 or 10:00-10:45. Hope to see you there! 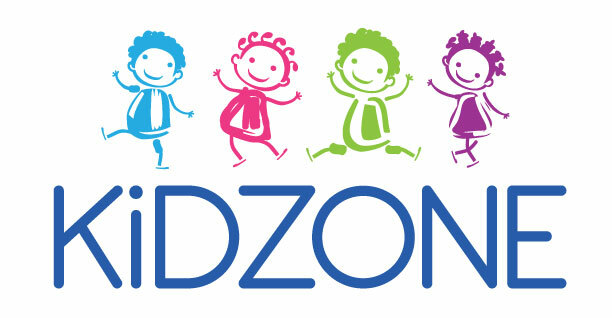 Hey KidZone Kids, we're back! Yahoo! Stop by the Callingwood market place to shop for your local goods, and join in on a yoga adventure or two. Choose between 12:30-1:15 or 1:15-2:00! Tell all your friends and we'll see you then. Join us for drop in mini classes on June 9 from 1:00-4:00 at the grand re-opening of the Fun Dome! We will learn how to become circus performers using our imaginations & some inventive yoga poses. There will also be tons of other fun things too! Join us for a free 45 minute yoga adventure on Wednesday June 24! Have your choice between two sessions; 2-2:45 or 3-3:45 (or come to both if you'd like). There will also be a bouncy castle, petting zoo, face painting & some great vendors for you, parents! Free yoga for the entire 10 day festival! WHAT?? I know, amazing right? Accompany us for a fun filled 45 minute yoga adventure July 16-26 from 2-2:45. Following yoga we will also have a HUGE collaborative art project for everyone to take part in and enjoy. A free, fun and family friendly mini-fringe with super cool activities! Including yoga of course... We'll be hosting some yoga fun for your little ones ages 2-5 on August 15 from 3:30-4:00 & August 20 from 11:30-12:00. Children 6+ have a chance to join in too! August 21, 5:30-6:15.